Fireman's helmet made of high density 14 pt. paper poster board is liquid laminated for a high gloss finish. 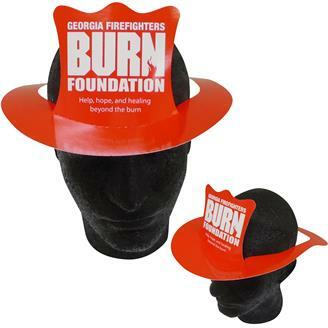 Ideal for fire safety days at schools, daycare centers, government agencies and as costumes. Quick turn; just ask! Shipped flat with minimal assembly.